InstagramSaver is an easy to use program to download Instagram photos and videos. Just enter the Instagram account you want to download and start downloading. What is more, InstagramSaver will download photos and videos in parallel. 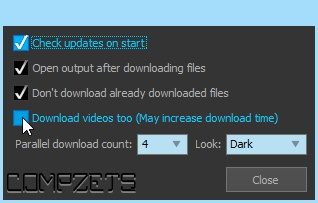 Just set the parallel download count in settings. You can also create a list of your favourite accounts and download or update them in batch.